10 Best Small SUV Cars - A search for the top ten 4x4 SUV or best UK crossover car should focus on off-road practicality, sporty styling, and low running costs for town and extra urban driving conditions. There is no doubt that as the best 4x4 SUV and 4x4 crossover cars become more affordable, and hence more popular, the United Kingdom continues to be a hunting ground for manufacturers to produce this year's best small SUV cars or all-wheel drive 4x4 car. The main benefits of owning one of the modern small 4x4s flying out of the dealer's showrooms in 2016 has to be their ease of parking and they are relatively inexpensive to run. An added bonus is the top SUV ranges in small size still offer off-road capabilities for those difficult annual driving conditions during the frosty cold season. The UK's increasing range of small compacts means there are many to choose from. Even though it can be tough to work out which is best small 4x4 to buy from an ever-changing market, this handy list of ten small 4x4 models should help steer you in the right direction of finding the best UK crossover car. We have compiled our top ten small 4x4 cars list and the vehicles may be modest in size but they are certainly big on practicality and affordability. We don't suggest you buy one of each so let's expand the information and help narrow your options before you click through the list. Is a four-wheel drive a necessity or would a front-wheel drive meet the grade? Is it the practical high driving position of a 4x4 that you need most? How important is it for you to save money on running costs and insurance? Which small 4x4s offer you the extra grip and traction that's so useful in the winter time? Are you looking for a powerful and efficient diesel engine or does a cost-effective petrol version appeal more to your purse strings? Note: As a rule the higher purchase price of diesel models means company car tax is often higher too. Before you decide which small 4x4 model is the best buy for 2016, there is one other important factor to include in the review. Living in isolated rural areas where snow arrives, and remains, for many months of the year could mean that the slightly higher running costs are a small price to pay. Four-wheel drive could literally mean the difference between 'business as usual' or having to stay housebound until the driving conditions improve. Simply put, there will always be trade-offs between the cost of a vehicle and its practicality, but the benefit of owning even a small four-wheel drive car is likely to shine through when the weather turns sour. Which Small 4x4 Cars are Best? Audi's standard Q3 is the smallest 4x4 car in their SUV range. But its engine spec and posh interior trim are unparalleled at this level. This chic crossover is bigger and taller than the A3. The German firm has created one of the best high performance crossovers available in the UK. 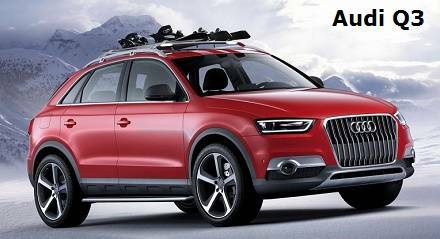 The Audi 4x4 Q3 Crossover is a true contender for the best small 4x4 SUV. 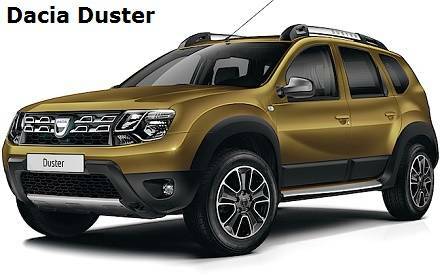 The Dacia car brand may not be familiar, but the Duster 4x4 crossover cars remain one of the cheapest small SUV cars for sale around the UK. Quite simply, this compact and basic sport utility vehicle is little money for a lot of car, but one which has low awareness in the world of small 4x4 cars. Read the full review of the low priced Dacia Duster SUV. When Fiat added the four-wheel drive option to regular Pandas, they also enhanced the appeal and raised the bar for small off-roaders. The Fiat Panda 4x4 moves nicely into a in a league of its own when you check out the finer details and capabilities of this town car favorite. 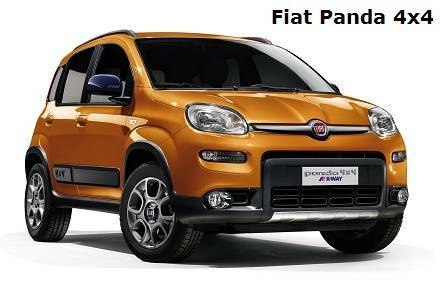 Read the full review on the petite sized Fiat Panda 4x4. Kia's budget priced and stylish junior SUV 4x4 is an eye catcher with lustrous styling and ultra smooth running engines. The Sportage is surprisingly compact perhaps because it of its association with Hyundai and design lines linked to the Audi TT. 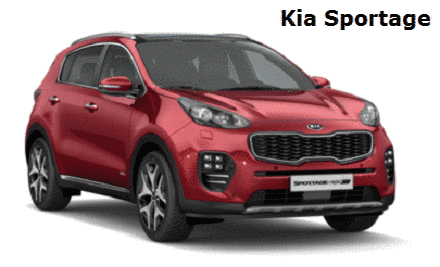 Read the full report about the compact Kia Sportage 4x4. The Suzuki Swift has few natural rivals in this range of low budget 'supermini' hatchback light off-roaders and is one of the best small 4x4s on the road. The Japanese sporty compact crossover delivers low running costs with assured handling for a range of typical road conditions and countryside around the UK. 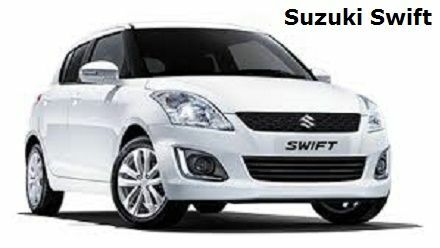 Read the full report about the small Suzuki Swift 4x4 Car. A review of the Mazda CX-5 small 4x4 crossover has to conclude that it is stylish, solidly built, and reasonably efficient to drive. The latest Mazda upgrades have produced one of the best small 4x4 cars that you can buy in the United Kingdom. 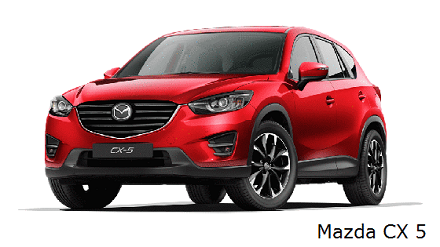 Read the full report about the Mazda CX-5 SUV. Nissan customers demanded higher technical specifications and plush interior trim. It certainly looks like the Qashqai deliveres them. This second generation Qashqai SUV interior has definitely gone upmarket. Gone is the chunky plastic '90s' era replaced by a sleeker shinier design. 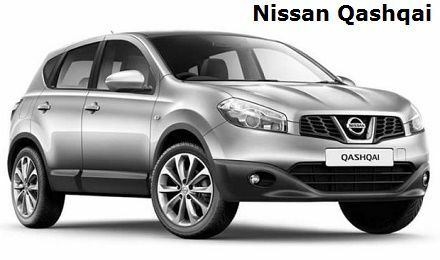 Read the full review of the sumptuous Nissan Qashqai Crossover SUV. If you are searching for a sturdy, yet versatile car that easily handles outdoor living, the Skoda Yeti Outdoor is for you. It has all the latest 4x4 systems alongwith some clever technology. The Skoda Yeti Outdoor copes with the heaviest off road situations and slippery roads. 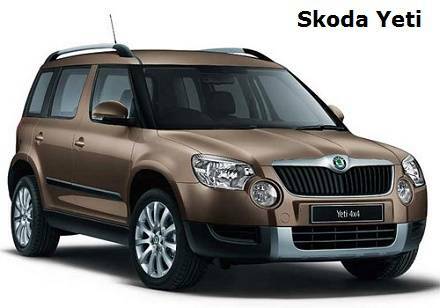 Read a review on a contender for the best small 4x4 - the Skoda Yeti SUV. Good value for money is an overused phrase in sports utility crossovers. Yet, the Suzuki SX4 S-Cross proves its worth. The Suzuki SX4 S-Cross comes with a choice of highly efficient petrol and diesel engine power units and a worthy contender for small 4x4 of the year. 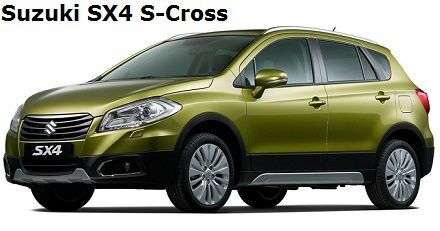 Read the full report about the Suzuki SX4 S-Cross SUV. The longer and wider MK2 Volkswagen Tiguan compact crossover is in a class of its own. The name is a mash of the words 'tiger' and 'iguana'. 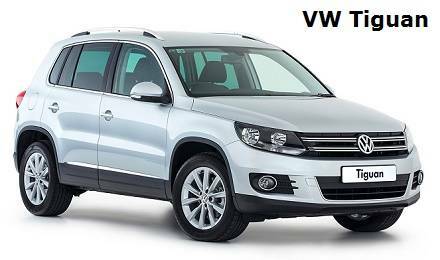 This premium Volkswagen Tiguan Compact Utility Vehicle is not lacking in space, powerful engines, or impressive technology. Read the full report about the Volkswagen Tiguan CUV.